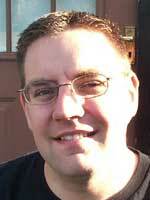 Richard is a technical support specialist at Enerjy Software. He has more than five years of experience working with Java at companies such as: Aspective and IBM UK Ltd. Richard has worked on both large scale J2EE multinational projects and specialist Voice activated Java applications. Richard holds a degree in computing systems from Nottingham Trent University and is an IBM Websphere Application Server Certified Administrator.